If you were seriously injured in an auto accident and believe that you may have a claim for personal injuries in North Carolina, you must pay special attention to something call the “statute of limitations.” This is a law that varies by state and governs the time limit you have to file a personal injury or negligence lawsuit against a person or entity that injured you and caused you damages. Understanding the statute of limitations is important because if you do not file your lawsuit prior to the expiration of the statute of limitations, the could will not hear your case, regardless of how strong it is. 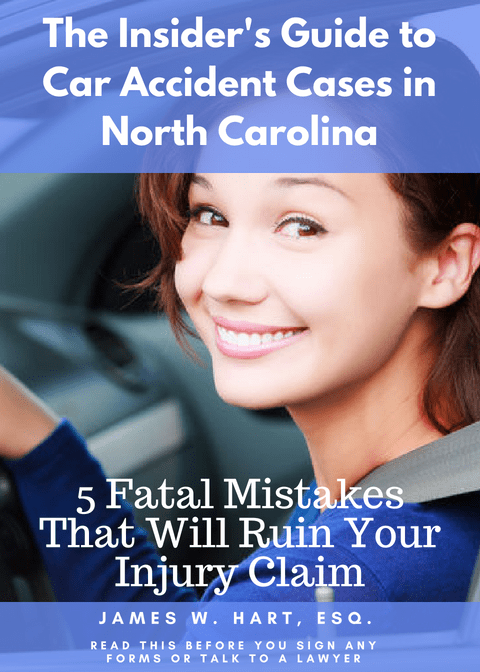 Although there are some exceptions, the general rule in North Carolina is that you will have three (3) years to file a lawsuit from the date you were injured. The most important thing for you to understand about the statute of limitations is that you should never wait until the statute is about to expire before filing a lawsuit. If you have any questions about what the statute of limitations is for your case, you should call a personal injury lawyer to discuss your situation. What is the Statute of Limitations for Personal Injuries in North Carolina? Simply put, the statute of limitations is essentially a filing deadline that exists to prevent claimants from waiting too long to file a lawsuit. If you wait until after the statute of limitations has expired to file your lawsuit, your case will be dismissed. If you file ahead of the deadline, but are unable to serve the defendant with the lawsuit, then your case will be dismissed. In most cases, the statute of limitations will begin to run (or “toll”) on the day that you were injured, in other words, the day of the accident. How long the statute runs will depend on the type of accident and your injuries. Here are some common statute of limitations in North Carolina, depending on the type of injury you suffered. The time period to file a claim for personal injuries is 3 years after the injury occurred, or ought to have become apparent. N.C.G.S. § 1-52(16). A claim for wrongful death must be brought within 2 years of the death. N.C.G.S. § 1-53(4). If a defective product caused a personal injury or death to the user, the lawsuit for personal injury must be brought within 3 years of the date of injury, or 2 years from the date of death and no more than 12 years after the product’s initial purchase for use or consumption. N.C.G.S. § 1-46.1. In order to bring an action for Medical Malpractice in North Carolina, you must file suit within 3 years of the last act of the defendant, or within the 4 year “statute of repose”. The statute of repose is only available when the injury was not apparent until 2 or more years have passed since the date of the last act of the defendant, and you must file suit within 1 year of the discovery date, but not greater than 4 years from the last act of the defendant. In limited circumstances, this time period can be extended, but those instances are rare. N.C.G.S. §§ 1-15(c) and 1-52(16). If you live in North Carolina, but have been injured in another state, the statute of limitations in that jurisdiction may vary from the the 3 year statute of limitations that rules the day here in North Carolina. Our lawyers are licensed to practice law in Florida, so if you are injured while on vacation, please contact us for assistance. We’ve seen statutes as short as one year, and as long as 6 years. If you are injured in another state, please contact our firm at (919) 883-4861. We will put you in touch with a lawyer where you were injured that may be able to help you. Remember, the statute of limitations are short in many cases, and it is important to action quickly so that your rights are not stamped out before you even realize it. There are times (although rare) where an exception will apply that extends the statute of limitations in your case. This is most common where a minor was injured. Because a minor child is not legally capable of suing, the statute of limitations for them will not begin to run until they turn 18 years old. There are additional exceptions where you were injured by a state or federal government entity (you are hit by the postman, for example). In these situations, special notice provisions may apply and the statute of limitations could be shortened or extended, depending on the entity that hurt you. The bottom line when it comes to anything related to filing a lawsuit is this – don’t rely on the internet to help you win your case. Lawsuits are tricky and the rules are complicated and technical. Something as seemingly simple as filing before the end of the statute of limitations can become incredibly difficult. If you have questions, or aren’t sure where to start, call a personal injury lawyer to help you.